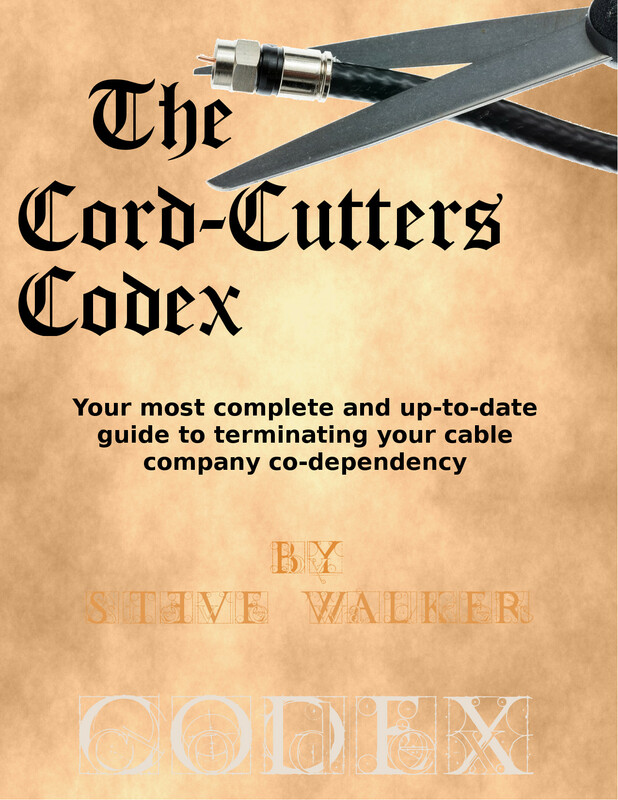 The Cord-Cutters Codex has been released! It’s a 15-page special report that gives you everything you need to know about cutting your connection to Big Cable all in one place. Save a ton of money each month by cutting the cord and hooking up with a streaming service like Sling TV, PS Vue or Youtube TV. And there are many others to choose from. Our guide will give you a complete list of the most popular streaming services and help you make a choice. We’ll also tell you what you need to know to make the quickest and most efficient split from your cable provider. Be prepared when you make that call–no hidden surprises if you’ve read The Cord-Cutters Codex.